Frits Damrow started his musical career as principal trumpet of the Radio Symphony Orchestra of the Netherlands when he was 21 and still had to ﬁnish his studies at the Maastrichts Conservatory. After 9 years he was appointed as principal trumpet of the Royal Concertgebouw Orchestra Amsterdam holding this position from 1991 until 2010. He was also active as a trumpet teacher at the Conservatorium van Amsterdam from 1993 until 2010. As a chamber musician Frits Damrow played in different groups like the Amsterdam Bach Soloists, the Netherlands Wind Ensemble, the Ebony Band, the Brass Quintet and Brass Ensemble of the Royal Concertgebouw Orchestra. 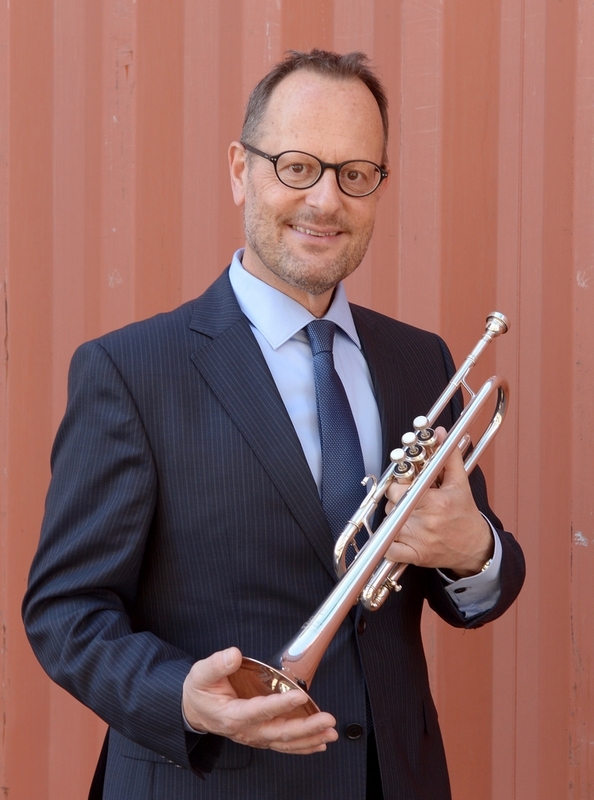 Since 2009 he has been Professor of trumpet at the University of the Arts in Zürich, Switzerland (Zürcher Hochschule der Künste). He is a regular teacher and soloist at many summer courses and festivals, like the Hamamatsu Summer Wind Academy and the Affinis Festival in Japan, Musica Verano in Mexico, Ionian Summer Academy in Greece, Cursu International de Musica in Spain, Blekinge Int. Brass Academy and the Aurora Festival in Sweden, the Tbilisi Wind Festival in Georgia and Sauerland Herbst in Germany. He also gave Masterclasses at institutions like North Western University in Chicago, the San Fransisco Conservatory, the Curtis Institute in Philadelphia, the Royal Conservatory in Brussels, the Hochschulen in Freiburg, Munich, Stuttgart, Cologne, the Tchaikowsky Conservatory and Gnesin Academy in Moskou, the State Conservatory in Athens, Greece, Shobi University in Tokyo, the National University in Seoul and several Universities in China. As a soloist Frits Damrow played with orchestras like the Royal Concertgebouw Orchestra, Symfonietta Amsterdam, Rotterdam Chamber Orchestra, Italian Chamber Orchestra, the National Orchestra of Lithuania, the Philharminic Orchestra of Transilvania in Rumania, Slovak Symfonietta and the Symphony Orchestra of Seoul. Frits Damrow is a YAMAHA performing artist.